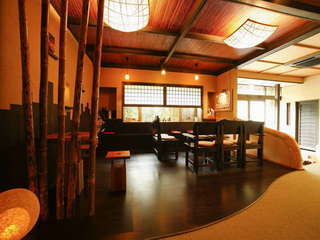 Renovated in July of 2008 with the theme of quiet calmness. An inn with meals homemade with the good fortune of the sea. 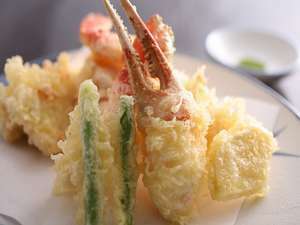 <Including Crab Tempura> 3 Crabs for 2 Guests! How wold you like them to cook? 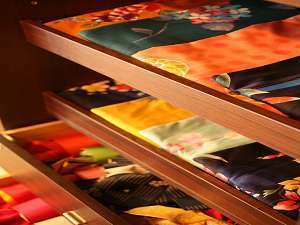 5 minute walk from Kinosaki train station. 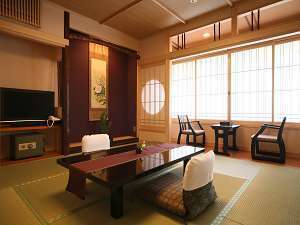 Weeping willow lined street and Jizou no Yu open-air public hot spring bath can be found directly in front of the inn. It's a leisurely 3 minute walk to Sato no Yu open-air public hot spring bath. Five new guest rooms use harmonized color schemes, these rooms are great for families and groups. You can also enjoy a private bath in our reservable indoor hot spring bath that uses 100% natural hot spring water. From spring to autumn enjoy our full course banquet style meals that are homemade right here with the good fortune of the sea. In winter guests are treated with the local specialty, snow crab. A full course meal, per person, can include 1~2 snow crabs weighing up to 1kg. An example of dinner (Tempra). How wold you like crabs to cook? This plan features four crab dishes such as crab sashimi, grilled crab, crab hotpot and Tempra. After hot pot, we will cook Ojiya (rice gruel seasoned with miso) for you. 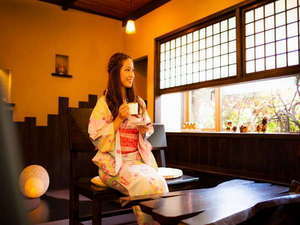 Also free coffee comes after meal at "Nogomi Dokoro"
For guests with children under 2 years old that do not require any meals or bedding, a facility usage charge of JPY2100 will be applied (includes taxes and services). Service fees and consumption taxes included.